PICS: SA’s Super Rugby teams’ Marvel Superhero jerseys! Wakanda, err, King’s Park forever? 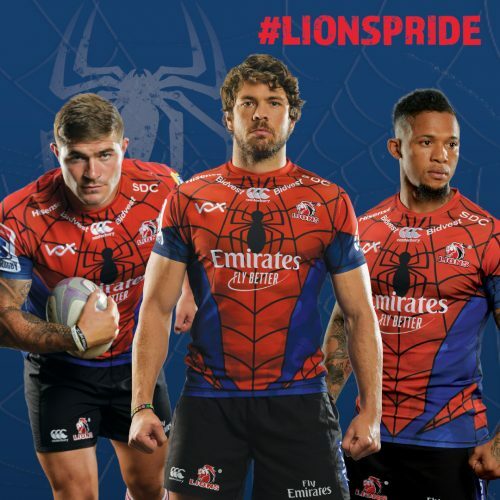 South Africa’s top players wearing their new jerseys inspired by Marvel’s Spider-Man, Thor, Black Panther and Captain America will run out at Cape Town Stadium on #SuperHeroSunday at the first public appearance of the Marvel makeover of SA’s Super Rugby teams. 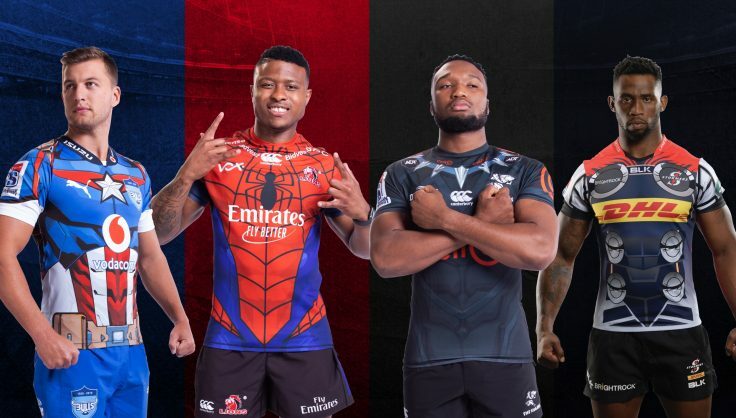 The Super Rugby double-header on Sunday 3 February will be the first time that the four local franchises will wear their new Marvel-inspired jerseys. The jersey designs have each been meticulously crafted to reflect the superheroes the South African teams will represent while also staying true to each team’s already iconic colour identity.